Designed and developed in 1978, Stockholm is a timeless combination of classic quality and style. Crafted from solid brass and hand finished, this traditional collection is complimented by ceramic component parts. 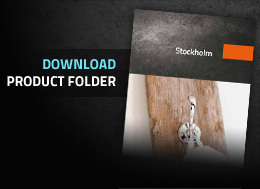 With its extensive range of items, Stockholm offers the perfect answer for any bathroom setting. A good morning, and an equally good night. Considering how much time you spend in the bathroom, you’re worth that little bit extra. Attractive, timeless design and genuine Swedish craftsmanship, with attention to every detail. Some call it quality of life, we call it the Miller Way. We offer you fine bathroom interiors! The quickest way to your new bathroom.